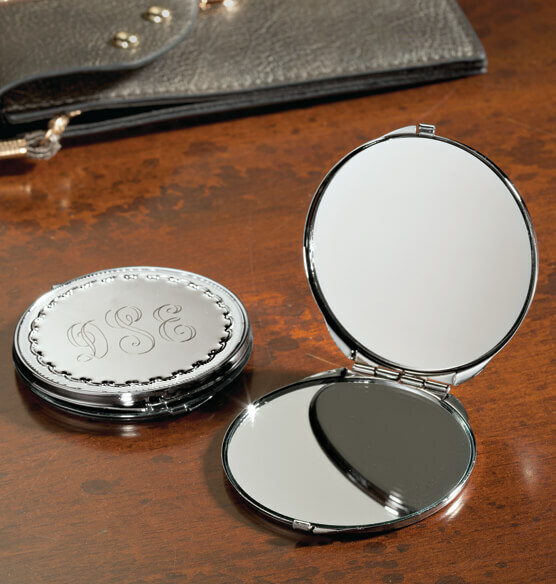 Create a look for day and evening with this personalized Round Compact with Dual Mirrors. The nickel-plated case has a high-polish finish and decorative flourishes for chicness. 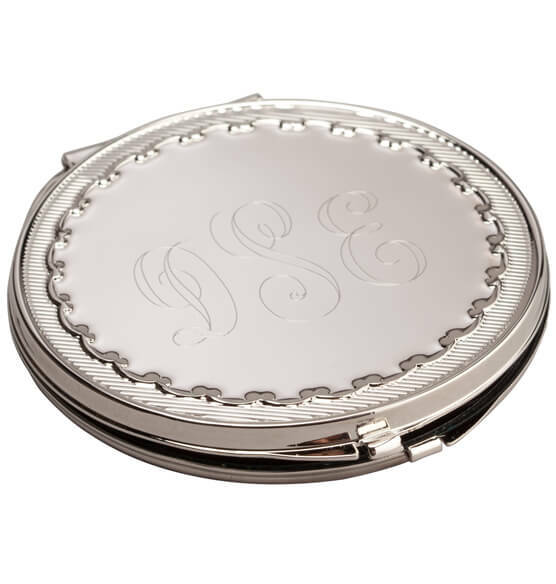 Personalize the upper lid of the makeup mirror with up to three monogrammed initials. 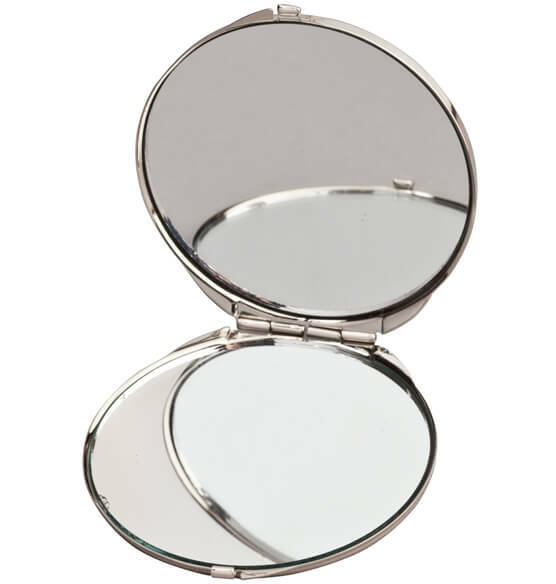 The hinged lid opens to reveal two mirrors with different magnification for full makeup application or quick on-the-go touch-ups.